If there is one question I get asked quite often it is, “Platinum or white gold, what do you think?” Platinum, a naturally white metal, will never fade or change color; Yes its true but most shoppers don’t reaslise that will never fade or change colour does not mean that it will not scratch just as much as gold. If you scratch your platinum ring the scratch will go deep into the metal whereas with gold it will remain on the surface. Most retailers will advise you to go with Platinum however if you ask me, unless you have extra means of cash you would like to spend, why spend it on Platinum when white gold will give you the same effect and will not see the difference to the eye. 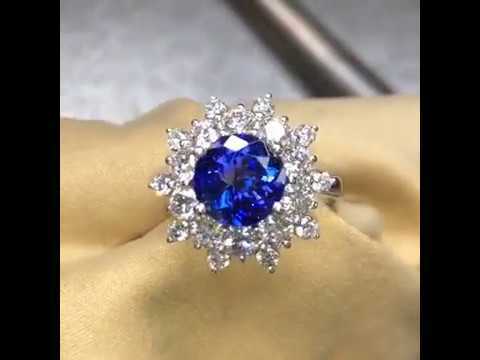 Platinum is more difficult to work with and for repairs and touch ups you will need a good jeweler with experience to produce a good job, this in turn will cost you more. Therefore the labour costs are roughly 20% more than with white gold. Therefore, in theory a platinum ring will last a lot longer without the need for replacing the band. However, a well-made ring, whether white gold or platinum should last for generations. I always suggest spend the extra money if you can see any difference or validate how important the metal of the ring really is to you. PreviousPrevious post:How can you know what you’re buying if they don’t know what they’re selling?NextNext post:Why we are different then other jewellery stores?